The papers and tag are Spring Jubilee by Pink Paislee, the cushies alphas are also by PP. The flowers are by Prima and the painted chippies are by Dusty Attic. I used a Martha Stewart round the page punch for the border. 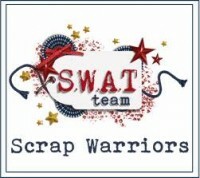 To enter the SKWAD challenges, please email a photo of your completed layouts to scrapbookkitswithjules@gmail.com by midnight, August 31, 2012 Australian EST. If you’re not sure how to calculate the time difference, CLICK HERE for the current time in the correct time zone. I hope you play along! Nearly every Monday, Tracy Weinzapfel has a live show on Ustream (she also records the shows, if you want to go back and check them out), where she creates wonderful art journal pages, works on canvas or creates something unique. Unfortunately the last few months, I’ve only been able to catch about 25% of them live. Why’s that bad? Part of the fun is chatting with the fabulously funny Monday night crowd! 😀 Be sure to tune into the next show and join in on the fun! You can find her Facebook artist page HERE where she posts upcoming live shows. My current art journal is a 9″ x 12″ Strathmore spiral pad (coil at the top) with 140 lb cold pressed Watercolor Paper. The quote reads, “peace. It does not mean to be in a place where there is no noise, trouble or hard work. it means to be in the midst of those things and still be calm in your heart.” The author is unknown. Scrapbook Kits With A Difference and the Design Team, would like to welcome you to our first ever Recipe Layout Blog Hop. We’d like to share this special event with you, and to celebrate, we are offering three kits from Scrapbook Kits With A Difference, for 3 lucky people. 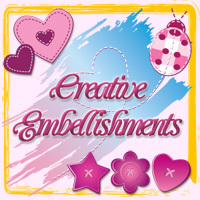 The blog hop begins at the Scrapbook Kits with A Difference (SKWAD) blog. On the SKWAD blog you will find a complete list of all the designers participating in the blog hop in case there is a glitch along the way. If you would like to play with us, just follow along the blog path. Each SKWAD designer is linking to the next designer, and that designer is linking to the next, and so on. Be prepared to find lots of inspiration along the way. Our 3 lucky winners will be randomly chosen after the hop is over. Woot! Woot! 1. Become a follower on our SKWAD blog. 2. Like us on our Facebook Page (link can also be found on the top right side of the blog). 3. Add our SKWAD blinkie to your blog. 4. Leave a comment on each designer’s blog and on the SKWAD blog. 5. If you create and share a layout using our blog hop recipe, you will receive 5 extra tickets in the draw. Please link your layout to the Recipe Blog Hop post on the SKWAD blog. If you did not start at the Scrapbook Kits With A Difference Blog, please click HERE to go to the beginning of the hop. Thank you SO MUCH for joining us. I hope you have been inspired to go have fun and create. Don’t forget to drop by on Tuesday 24th to find out who the lucky winners are!!! Come join us for a fun, prize-filled blog hop starting on July 15th! 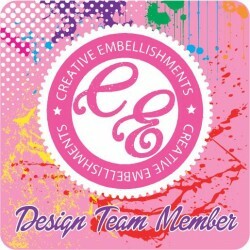 The excitement begins on the Scrapbook Kits with a Difference Blog. Hope to see you there!